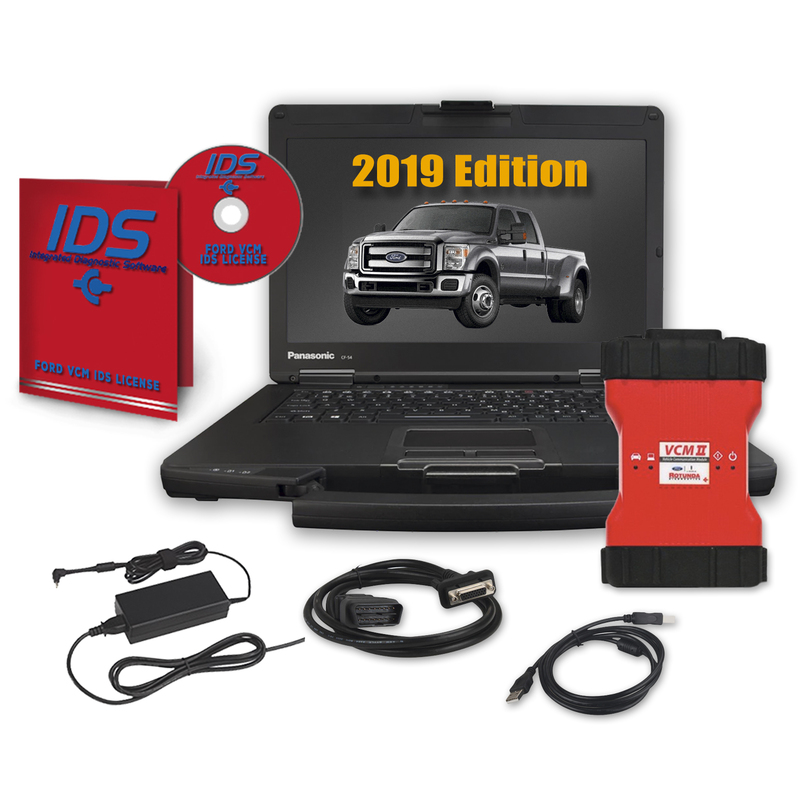 Ford VCM 2 Toughbook Dealer Package Comes Fully Licensed and will work on all makes and models for Ford Trucks, Gas, Diesel, and All Cars 1996 - Current Year. This is the factory dealer package and comes ready to go out of the box. This kit is the same kit found in all the Ford Dealerships. This Dealer Toughbook Kit Includes. Ford VCM 2 Package Programming an ABS Module.